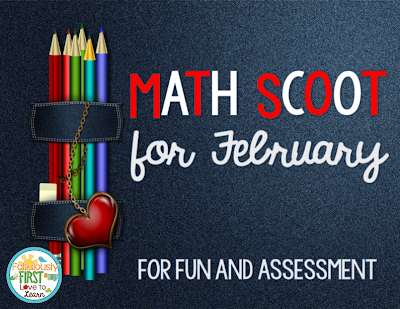 The Primary Peach: Sweet Treats and a Scoot Math Freebie! Hello Everyone! I'm Deb from Fabulously First and I can't believe that February is coming to an end next week? I know you are enjoying all of the "sweet treats" that we have offered you this month! My firsties love playing the game "Scoot" and I have always made it just a fun game for them to play as a filler if time allowed. One day it dawned on me (it takes me a while) that I could be using this as a mini-assessment. So I started making them from a little bit of a different viewpoint. When the scoot is finished just keep the recording sheet from each student. Circle any of the boxes where they got the answer wrong. This allows me to grab them during my small math groups during Guided Math and work with them on any skill they need extra work on. Here's a great freebie for you to use to try out and see how it works for you and your students! Banana helps the digestive system.